Club Penguin Cheats by Mimo777 Club Penguin Cheats by Mimo777: Penguin of the Day: Awsomebacon2! The team and I love it when you guys help keep CP a fun and safe place for everyone! Awsomebacon2 is always looking out for their buddies by ensuring that everyone is being as kind as can be. And if not, they know that they can use the Report or Ignore buttons on the penguin player card! Brill work! 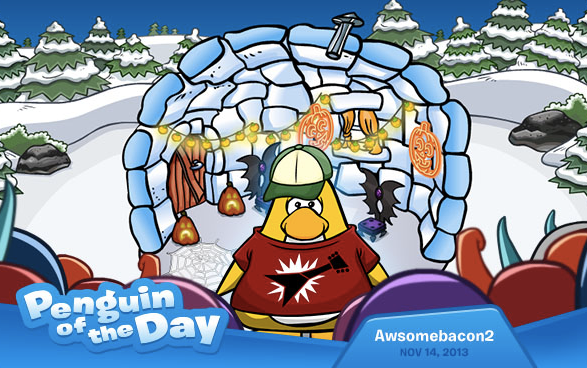 Nominate your friends for the Penguin of the Day!